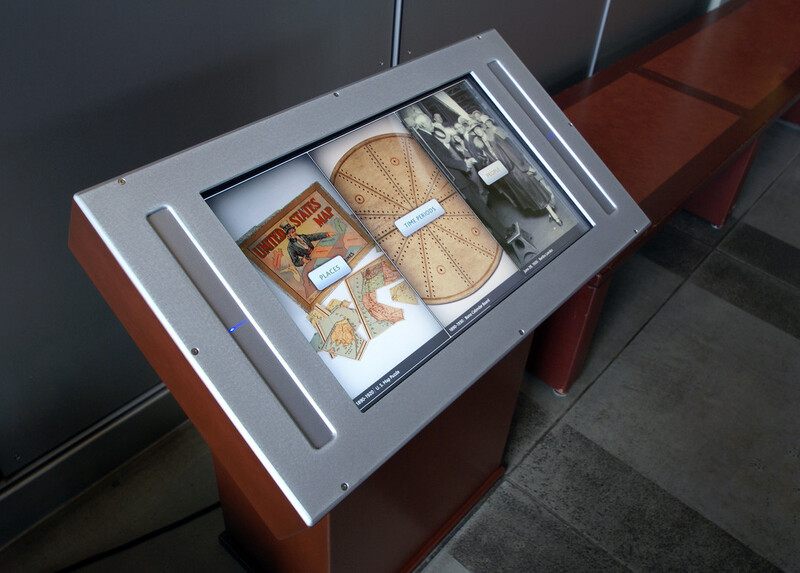 Historical Tales & Museum Collection kiosk. 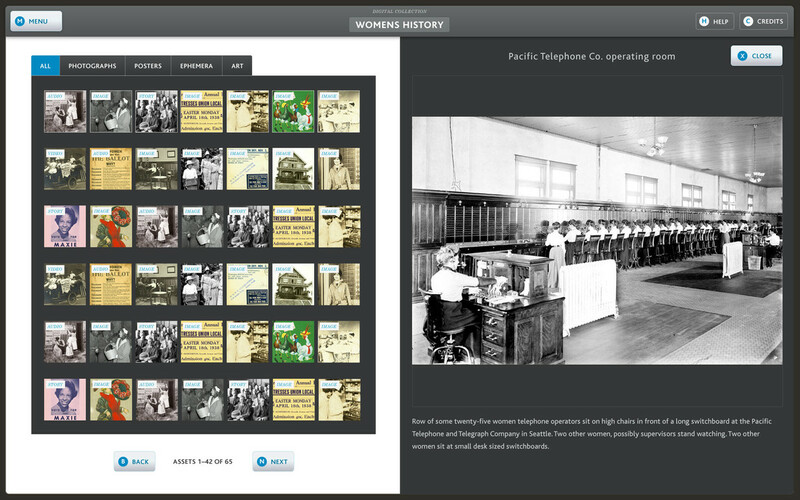 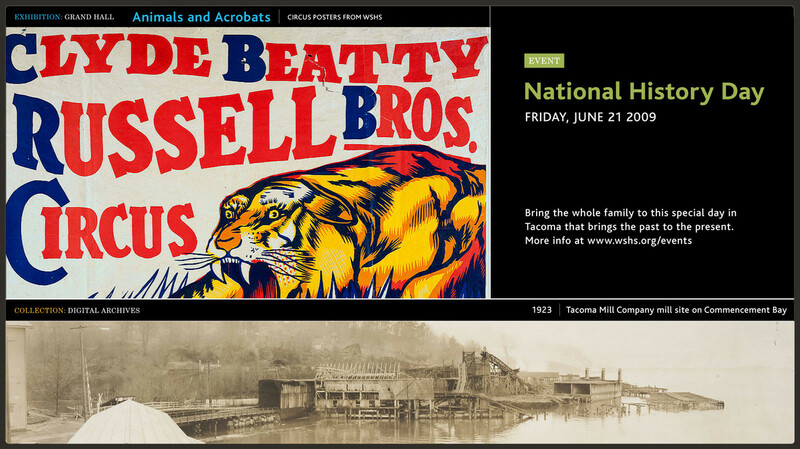 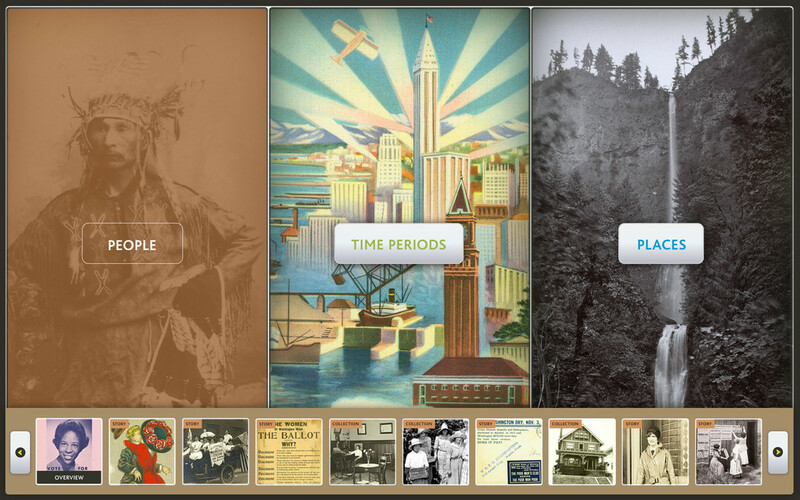 The Washington State Historical Society commissioned Belle & Wissell to develop touchscreen interactives and flatpanel display to tell historic tales and present the museum’s collection. 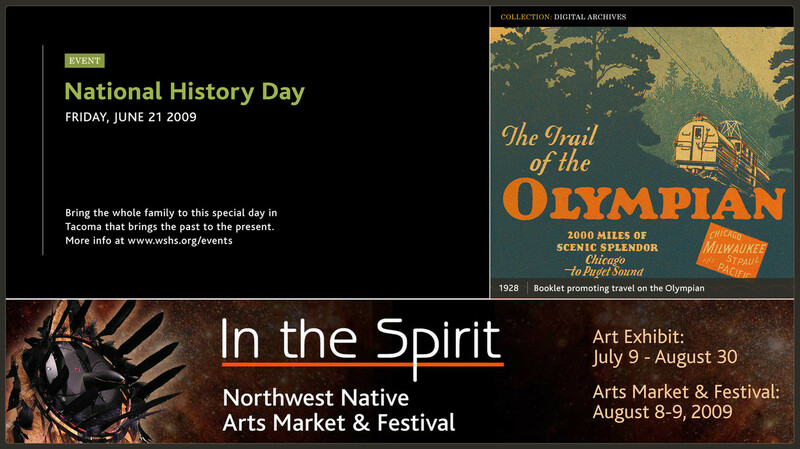 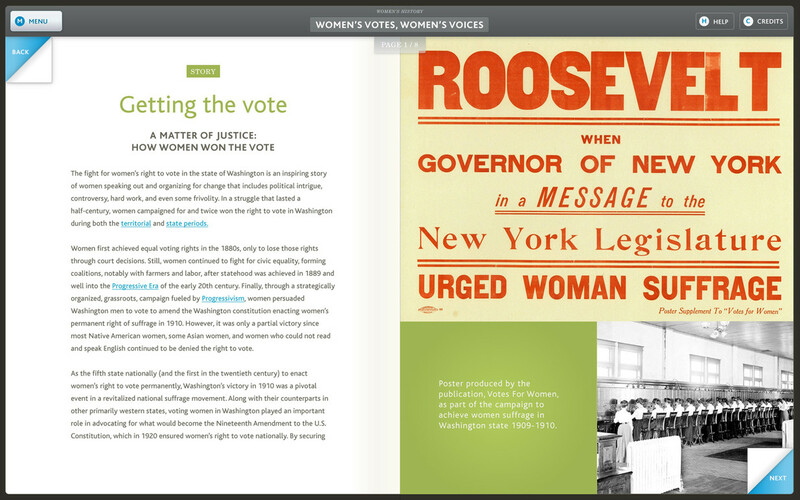 Features include collection and story browsing, integrated videos, slideshows, and presentation of content not available in museum galleries. 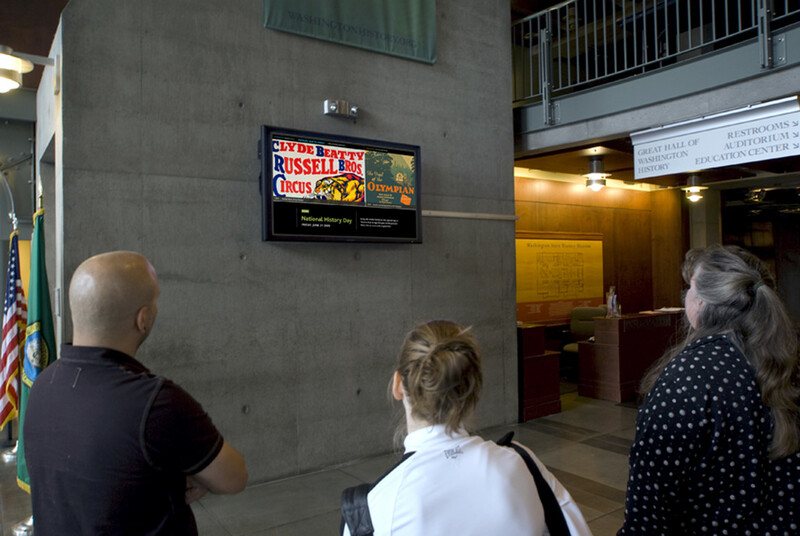 High-definition video, and other Flash-driven content was integrated into a flat panel display system on a large 65″ display in the museum lobby. 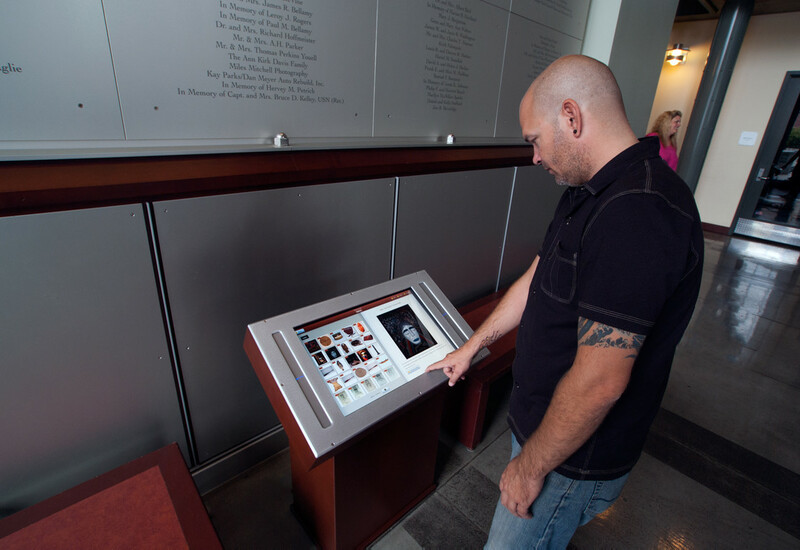 A web-based WYSIWYG content management tool was developed specifically for the museum, which empowers the curatorial staff to add, edit and publish to both the kiosk and flatpanel.